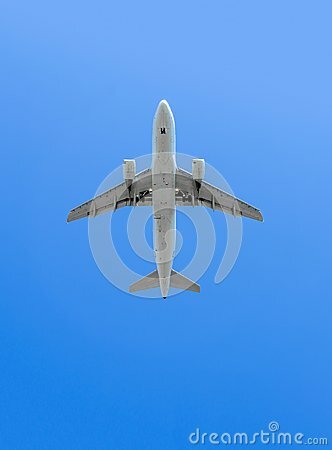 White airplane flying under the blue sky. bottom view. Very big.